To commemorate the first 10 years I have lived in New York City, I decided to publish a series of three books in homage to my new hometown. 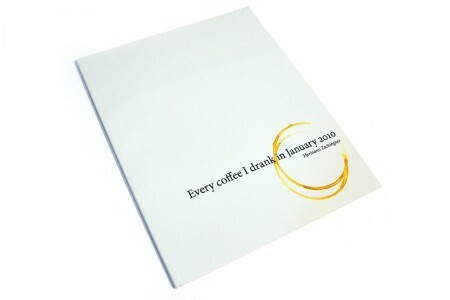 The first one, “Every coffee I drank in January 2010”, pays tribute to one of New York’s greatest feats: the corner deli drip coffee. 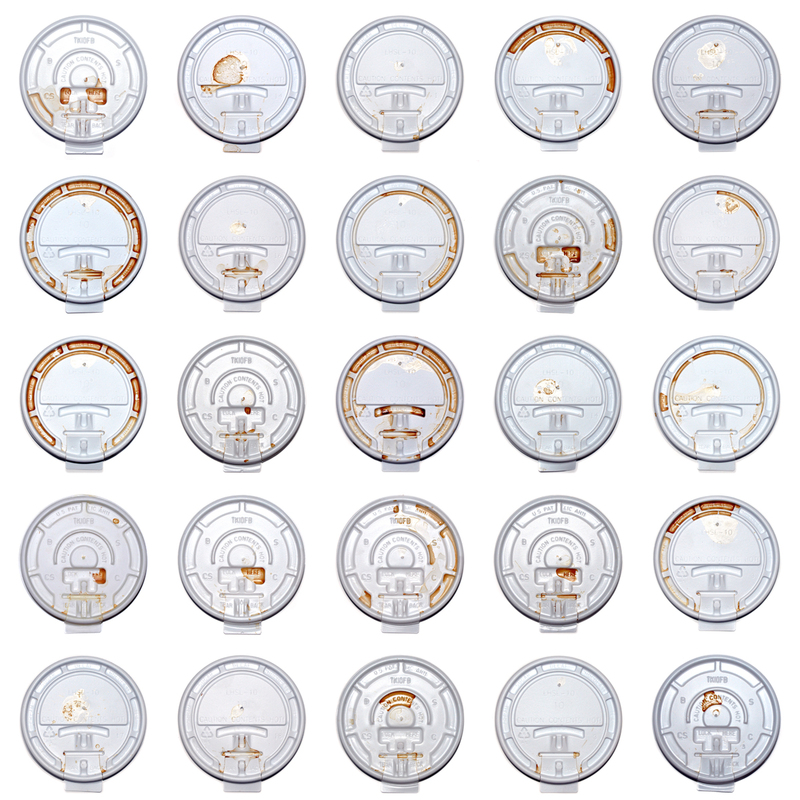 Chronicling my coffee intake over one month, I collected the coffee cup lids of each consumed coffee. 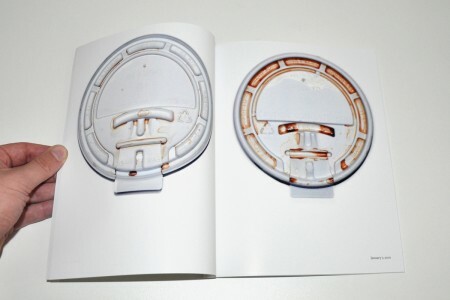 The lid becomes a white canvas, with the coffee stain revealing an unique pattern of use. 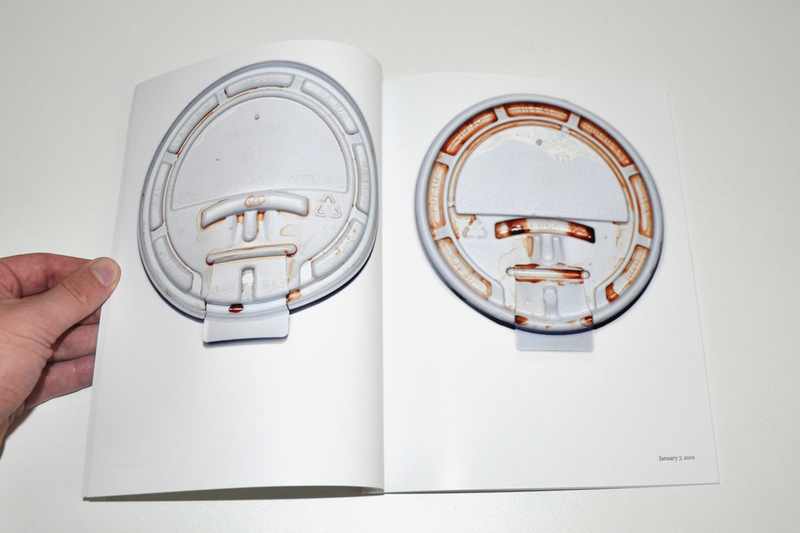 Each page shows the front view and date of the consumed coffee. 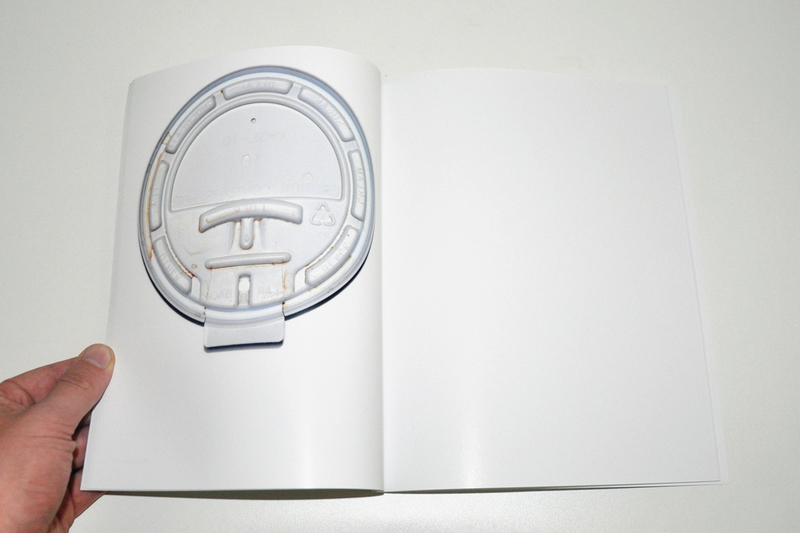 The backside of the lid is placed on the next page. A blank page signifies days when I did not get a coffee. Last page: It was a pleasure to be served. In an era in which transnational corporate coffee is available on what seems like every corner, the New York City bodega coffee culture is a surprisingly resilient figure of resistance. For a few quarters one can still buy a decent cup of joe at nameless outposts across the city. Every coffee I drank in January 2010 is the first in a series of tributes to New York produced 10 years after Hermann Zschiegner adopted the city as his home. 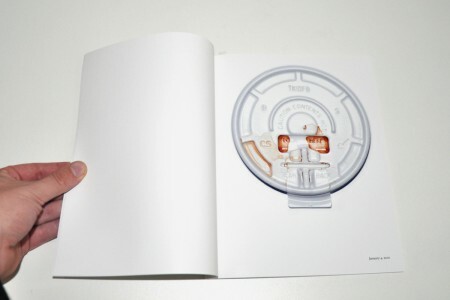 As the title indicates, this book is both diary and homage. Caffeine produces its own neuroses of addiction. One documented here is the obsessive fascination with patterned stains produced on a plastic lid by a beverage and its consumer. 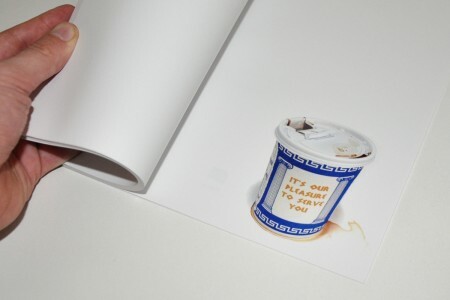 Ruscha’s own Stains (1969) were produced by 70 different substances, both more and less personal than this one. 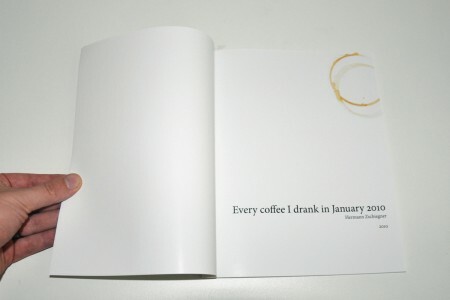 Zschiegner’s coffees of January reside one to a page. 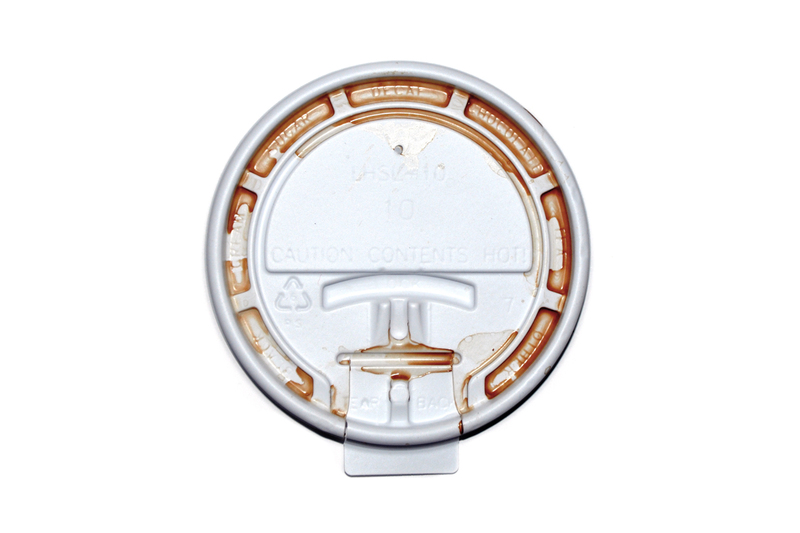 Rectos feature the topside of a single lid, versos the corresponding bottom. On days when no coffee was consumed, a spread is left blank; some days, for reasons unknown, required more than one dosage. 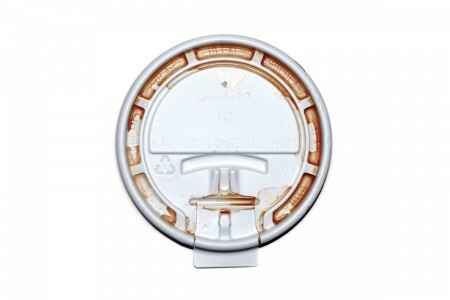 As metonyms and indexes of the coffee that has been consumed, the uniqueness of each lid gives the respective drink a specificity that might otherwise be lacking from a straightforward inventory. The day’s consumption becomes a ritual act that produces a drawing — an unconscious and aleatory form of mark making worthy of Fluxus actions or Brassaï and Dali’s “involuntary sculptures.” Utterly banal and familiar, yet personal and evidentiary, these photographs capture the imponderabilia of everyday life.